A RED TONGUE MORE OFTEN SIGNALS UNDERLYING PROBLEMS IN CHILDREN’S HEALTH. 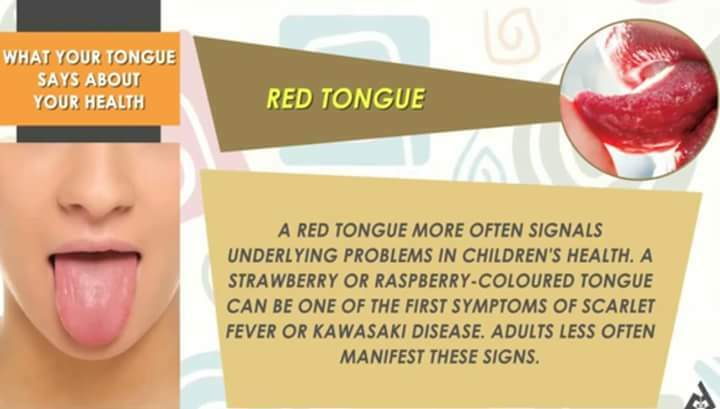 A STRAWBERRY OR RASPBERRY-COLOURED TONGUE CAN BE ONE OF THE FIRST SYMPTOMS OF SCARLET FEVER OR KAWASAKI DISEASE. ADULTS LESS OFTEN MANIFEST THESE SIGNS. TONGUE LOOKS SMOOTH AND RED, YOUR DIET MAY BE BUT IF YOUR MOUTH HURTS AND YOUR TONG DEFICIENT IN NIACIN, AN IMPORTANT B VITAMIN. A PURPLE TONGUE INDICATES THAT YOU MIGHT BE HAVING CHRONIC BRONCHITIS. 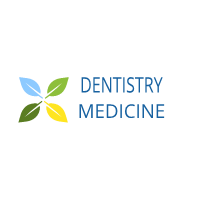 IN SUCH A SITUATION OXYGEN IS NOT SUPPLIED TO THE BODY EFFICIENTLY. PURPLE TONGUE MAY ALSO INDICATE HIGH CHOLESTEROL LEVELS. POOR CIRCULATION MAY ALSO BE THE CAUSE OF THIS COLOR. CONSUMING TOO MUCH OF COLD FOODS CAN ALSO CAUSE THE TONGUE TO TURN PURPLE. CONSUMING FOODS LIKE GARLIC AND GINGER MAY TURN THE COLOR BACK TO PINK, OTHERWISE CONSULT YOUR DOCTOR.